5 Bucket List Adventures in New Zealand - Something for Everyone! 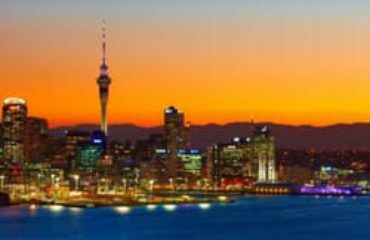 New Zealand is one of the world’s ultimate destinations. 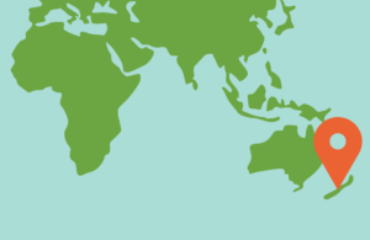 That’s because few countries can beat New Zealand when it comes to breathtaking scenery and things to do. But how do you choose what to see and do first? We admit, it’s not an easy choice to make. However, everyone agrees that the adventures below are bucket-list worthy! While seeing the Northern Lights in person is a bucket list item for many travellers, the Southern Hemisphere’s Southern Lights is no less spectacular. 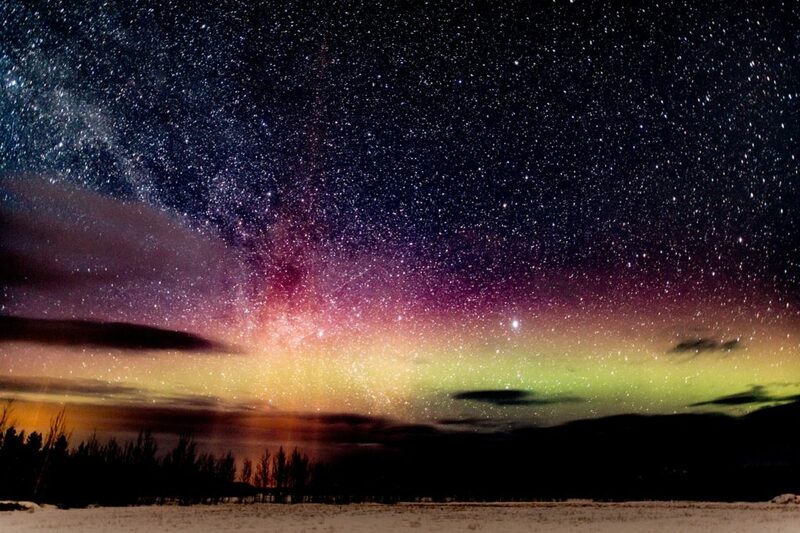 This night-time light show in nearly all the colours of the rainbow is best appreciated against New Zealand’s clear dark skies. The best places to see the Lights are in the Otago region, just outside of Dunedin, as well as the night skies above Lake Tekapo and Mt Cook. 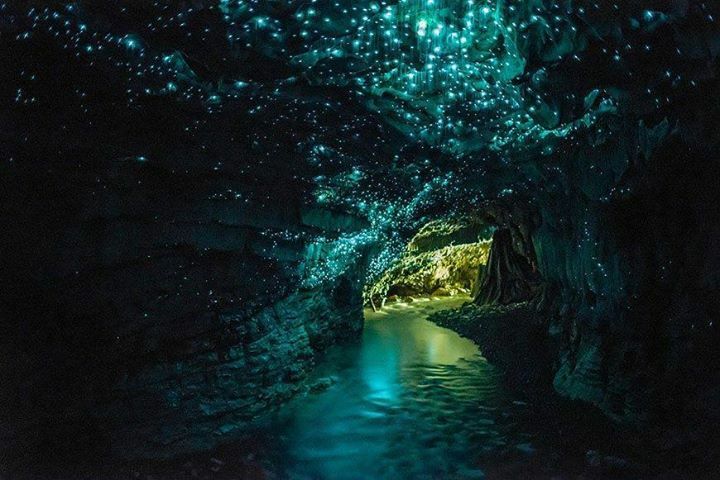 New Zealand’s Glowworm Caves are unlike anything else you’ve ever seen! Here the pitch black caves are lit up by thousands of glowworms that have made these limestone caves their home. To explore the caves, you can opt for a gentle boat cruise or choose to raft the caves on rubber tubes. You’ll also get the chance to jump into cascading waterfalls and climb through the caves. You can add abseiling to the experience to make it even more of an adventure! Franz Josef Glacier is one of New Zealand’s most spectacular sights. 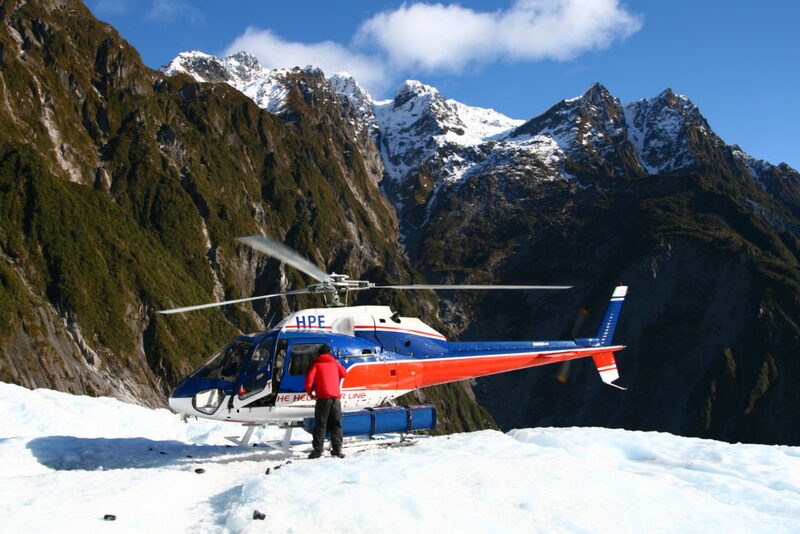 To experience it, you’ll have to book a helicopter ride as it’s the only way to reach the glacier. You can either go straight to the top of Franz Josef or challenge yourself with up to four hours of guided ice-climbing. However you explore the glacier, you’ll enjoy panoramic views of the surrounding mountains and get to warm yourself in the glacier hot pools. Not that you’ll be as cold you imagine perhaps. The Glacier’s day time temperatures only dip to between 5C and 15C. 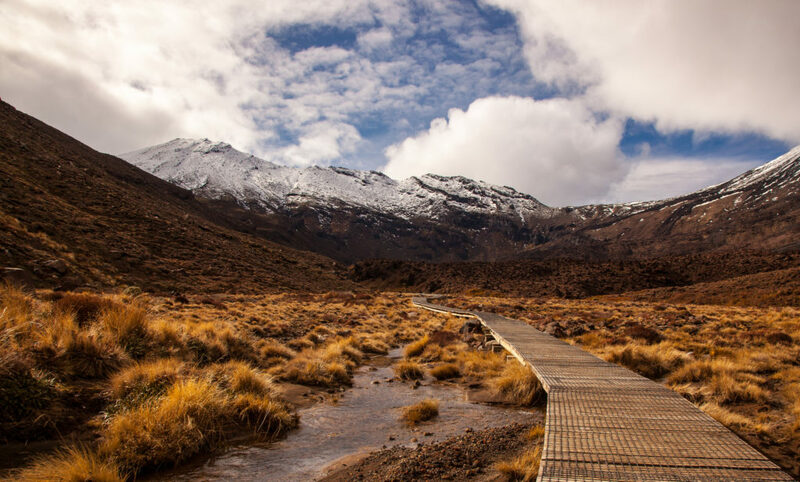 The Tongariro Alpine Crossing is New Zealand’s most famous day hike. The 19.4km route takes about nine hours to complete and reveal incredible scenery along the way. You’ll encounter steaming vents, glacial valleys, ancient lava flows, alpine vegetation and colourful crater lakes, all with breathtaking views. This hike is not necessarily for everyone though. You should have a good level of fitness and ideally have hiking experience. The hike can become treacherous during winter when there is snow and ice on the ground. 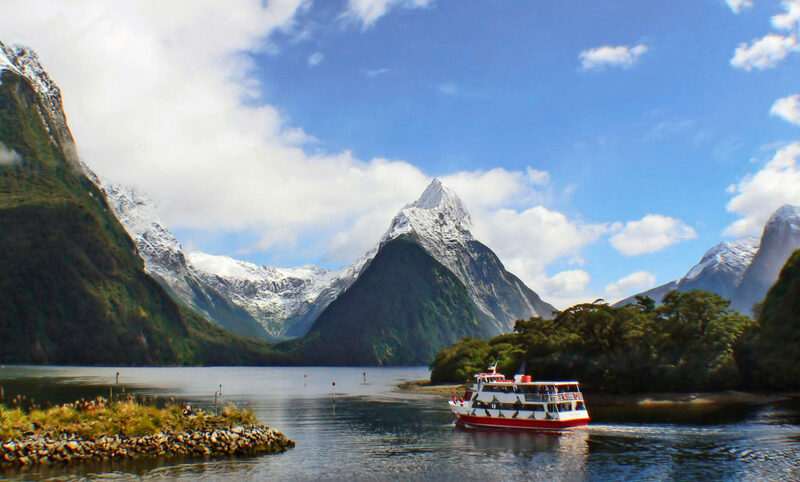 This list would not have been complete without adding Milford Sound. Milford Sound is in Fiordland National Park and one of the most spectacular places on Earth. Here majestic peaks tower over crystal-clear lakes. You can explore the area by hiking through the forested landscapes or cruising along the water to see the hundreds of cascading waterfalls up close.